In today's episode of Sewing Lessons From Stitching it Right, I went over the basic features of my base model Brother XR-65 household sewing machine, because I wanted to take the time to point out some of the sewing machine's features for new sewists who may have never used a sewing machine before. The first thing a new sewing artist, or sewist for short, should do is learn about the basic features of their sewing machine. Using the Brother XR-65 shown in the video as an example, it's important to know things like how to change stitches, adjust the stitch length, and where the bobbin goes. I can't find a link to the exact machine shown in my video via Amazon to share with you here - probably because it's an older model - so I am sharing an Amazon ad for the closest Brother machine I can find, which has apparently replaced this particular model. There are so many types of sewing machines available, it can get overwhelming trying to choose one, and each kind has some advantages. Some reasons you may want to pick up a basic model, like the one shown, include a tight budget, being new to sewing, or simply needing a backup machine. I originally bought my Brother XR-65 as a backup machine in a pinch when my industrial machine broke when I was working on a customer's order. First, with a basic machine, you don't typically get a lot of extra features. The brother models shown in my video and in the ad actually have a lot of features for the price point they're offered at - but I have found a drawback with my own machine. While it started out as a great machine that stitches very nicely and has held up through some heavy use, a lot of its internal parts are made of plastic. Plastic parts simply don't hold up the way metal parts in some higher priced machines do - and when things started to break on it - it was kind of one thing breaking after another. I will say, for what I paid, it served me well, and with some tweaks, I've been able to keep it stitching. So, I wouldn't recommend it as a machine to last a lifetime, but, I would heartily recommend it as a machine to get you through until you can afford a better quality machine, or until you've been sewing for a while and are certain you enjoy the hobby and want to spend a bit more on your craft. 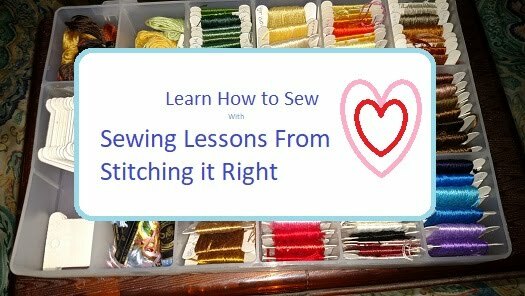 Thanks for visiting Stitching it Right, and it would be so great if you subscribe to the Sewing Lessons From Stitching it Right video channel or join and like us on Facebook to continue the conversation about sewing and to pick up more fun tips on how to sew.